If you like what you are reading, then this is the Keto audiobook to buy! Most people who are harried by the hustle and bustle that we call life usually sacrifice their diet and health because of the inconvenience of cooking and preparing their own food - and even because of cleaning the aftermath of cooking. This audiobook is the perfect solution to your problems. How? Why? Well, first it adheres strictly to the keto diet. It uses ingredients that can easily be sourced, stored in the fridge or pantry for long periods. And most of all the ingredients are wholesome, healthy, nutritious, and pack a lot of flavor. To top it off, no cooking is needed and very minimal prepping is required. What are you waiting for? Scroll up and buy this book now! Keto is similar to how I lost 325 lbs in 06 . This has other elements that make Keto safer and healthier. Yummy! Hands down, the best Instant Pot cookbook I've found so far. Very grateful for the easy to use/read instructions and the flow of how this book was formulated. I also really appreciate how they tailored it to brand new users of a pressure cooker, like myself. I like how in the very back of the book they have general guidelines for meats, grains, veggies etc - in case you don't want to use one of the recipes in the book - but say you have a pork loin or some lamb chops....fantastic. Awesome! Lovely book! Thanks! 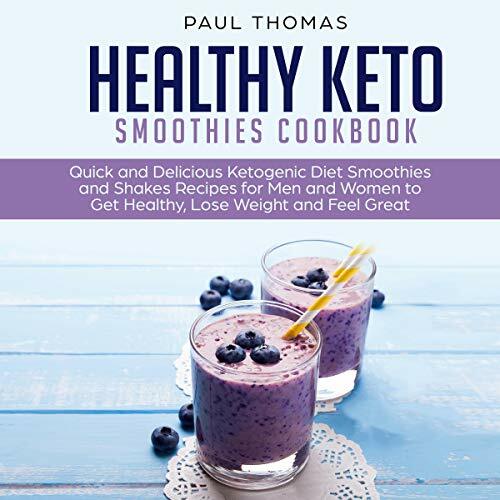 This is a great book, very helpful for us new to keto lifestyle. I love the smoothie and juice recipes. Very straight forward read. This book show me the part of approaches to make smoothies. First time I amazed that I can ready to make it at my home. I recommend ! Great book with lots of inspiration! I have started a routine for my family to make Early morning fruit smoothie and my kids like it, every morning kids want something new now i can try new smoothies everyday and these are healthy yet tasty recipes. Simplistic, easy to follow, great information. Simplistic, easy to follow, great information. I read this book in two hours, highlighted a lot of information and started cooking right away! Exactly what I was looking for! This is not a diet it is a healthy lifestyle change! This book is great for those people who wants to avoid unexpected illnesses, achieve weight loss goal, stay healthy and enjoy a happy life. Helpful book. Easy to understand and follow. Great recipes and conversion charts. Gives you a real understanding of how our body breaks down fat as opposed to carbs. I recommend this book to you on the quality basis. This book was exactly what I needed as a resource to get my ketogenic lifestyle started.This book is everything you need to get started or maintain a high fat, low carb lifestyle!! I was eating a ketogenic diet for several months before I came across this book. It totally changed how I look at this lifestyle!! This book is packed with amazing information, guidance, easy to understand charts and delicious recipes!! This book is a must have! I was very satisfied when I purchased this book. I was very satisfied when I purchased this book. A wonderful guide to becoming a leaner and healthier individual. I found this to be an extremely interesting and mind changing book. This book is perfect for those who are searching for a good and all natural food recipes and you can share these recipes with your family and friends. This book is incredible. Love it! This audiobook was incredibly helpful for a keto newbie. Full of great information! A great resource! Full of everything you need to start your ketogenic journey. Very friendly explaining style. Really enjoyed it. Very useful and inspiring content. Listening this audio was useful for my daily and professional life. Thanks for writing this! I enjoyed this ketogenic book very much. I enjoyed this ketogenic book very much. This book contains a good information on ketogenic diet and recipes are awesome too. i listen again and again. Now I won’t feel lost in a new diet program again. Now I won’t feel lost in a new diet program again. Thanks to the sample meal plan and the keto recipes that are complete when it comes to ingredients and the cooking instructions. Very informative and straight to the point. a must listen for people needing a life change. good cookbook with very delicious recipes. good cookbook with very delicious recipes. Our family really liked several recipes !. Everything is simple and easy to cook. And most importantly it is very tasty result. Thank you very much for the book! Recommended!